Simply Silhouette: "Say It In English"Home Sweet HomeBlog Hop! Welcome to the "Say It In English"
Say It In English "Home Sweet Home"
this Amazing set of stamps to go with it..
My invitations were so boring compared to this one ! There are so many cute things you can create with this set! 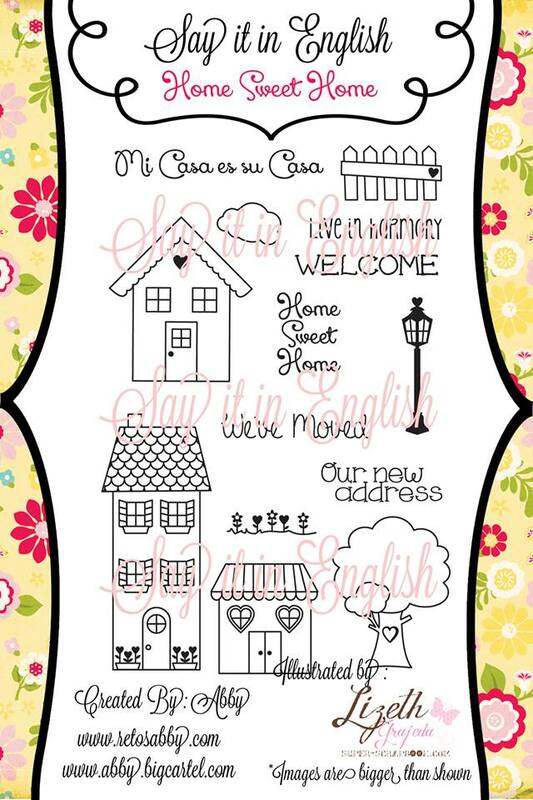 stamp set "Home Sweet Home"
from the The Twinery brand. on the hop and you'll be entered! Check out the "Dilo En Español" "Say It In Spanish"
This is AMAZING!!!!!!! So much detail and BEAUTY!!!!!! Thank you so much for being part of this hop!!!!! OMG this is so beautiful!!!! Love your 3D invitation!!! Thanks you for the template. 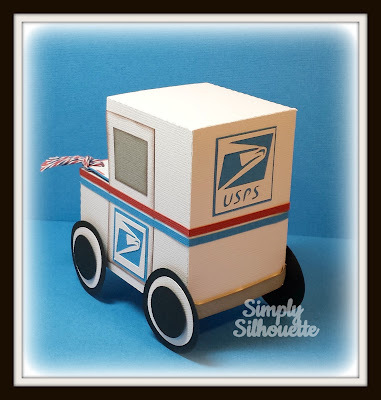 Hi Julie, you did a great job with that mail truck; thanks for the template! Love the new stamps and what you did for the new address! OMyGosh Julie This is just adorable! love all your 3D projects!! Thanks for sharing the link to the pdf! Love it! what a fantastic and original project, I love it! que hermosura de carrito, lo ameeeee. Me súper encanto tu proyecto y la tarjetita con los datos y la casita quedó genial. 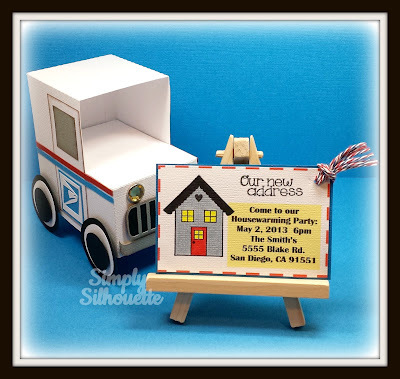 This mail truck and invite is just the cutest!!! Who knew a mail truck could be cute?! lol Love the invite as well, great stamp set for sure! Oh em geee!!! That usps truck is super cute!!! Love the invite! The stamps we're a perfect match!!!! 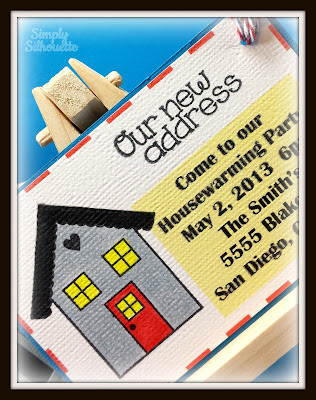 Really cute way to show your new address....And an invite to a PARTY too. Love this little Mail Truck. As usual, another project well done indeed. what a great idea so very cute! I loved the truck! it's so cute! What a fab idea.love love the 3d invite. Oh beautiful truck... it's a great idea... I love. What a great idea. The mail truck is too cute. the mail truck is a beauty and every detail too!! great idea !! Una florcita del jardin de DEE presente !! Your postal truck is so adorable. Very cute! So cute and So clever!!! Love it!!! Que hermoso y original proyecto, me encantó. Saludos! what a great idea!!!! I love the mail truck!!! Oh my gosh, how cute is this mail truck! 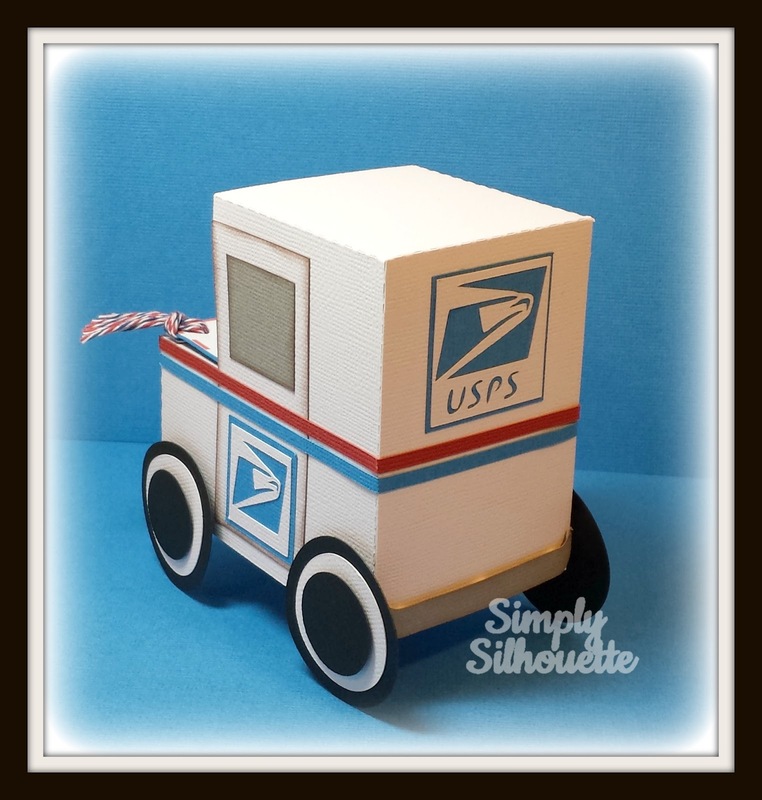 I just love your 3D project and the cute invite-so adorable!Great stamp set! TFS! I loved that little Truck! it made me smile! :) TFS! The little truck is so sweet!! !Thanks for sharing! EL jardin de DEE presente!!! Hola Julie, que hermoso camion porta tarjeta, me encantó!!! This is perfection!!!! WOW just amazing Julie! Awesome job! I love this cute mail truck...great idea!!! adorable! I love it! Soooooo, cute! 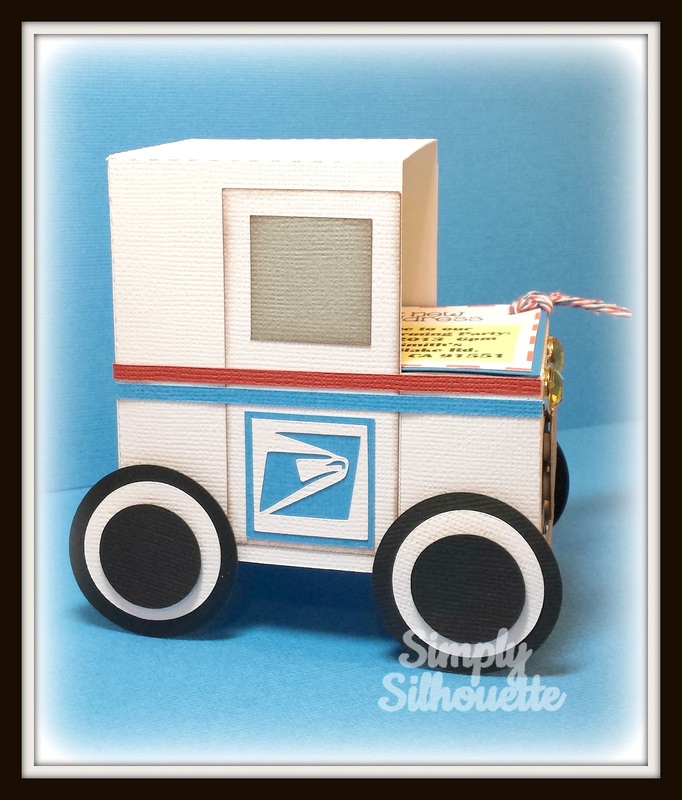 that is such a cute USPS car, great invites! How clever! 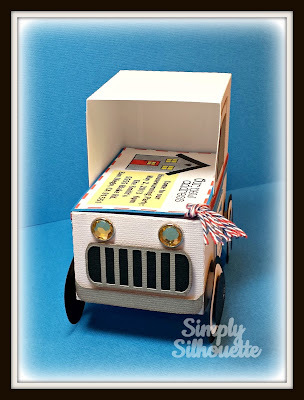 I love that truck (thanks for the link) and you did a fantastic job coloring that stamp! awww... this is so adorable and creative! Julie, you are so creative!! Love that mail truck and your invites!